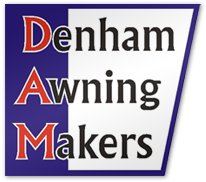 At Denham Awning Makers - DAM Covers - for over 50 years we have been manufacturing premium quality/custom fit Boat Tarps. Yes, your tarp must be tied down properly. By pulling the stern draw cord extremely tight. This should ensure minimal movement when traveling. Both our lines of fabrics are factory impregnated with a water-repellent solution. The special thread that is used eventually swells and seals all needle holes. 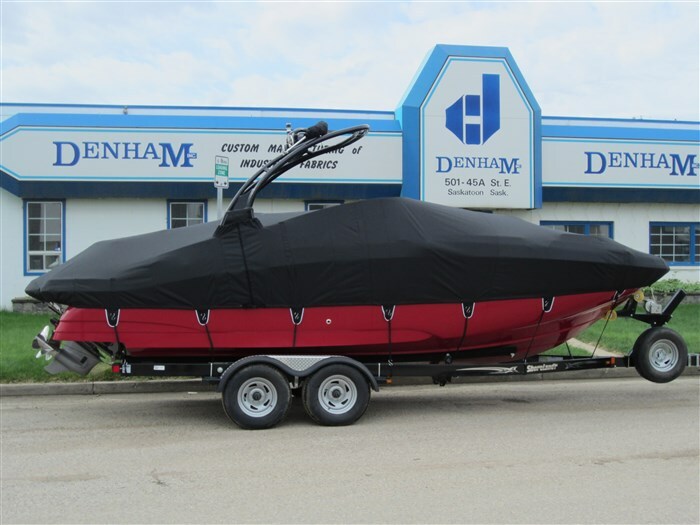 Our Marine Canvas and the Polyester fabric offer excellent breathability, allowing for proper evaporation of humidity. Is the DAM Cover Reinforced? We sew reinforcement to the underside of the cover at all possible factory installed wear points. Items added or changed on your boat may require additional reinforcement. How Long Does the DAM Cover Last?